People remain genuinely baffled by AirPod excitement. They attribute it to fanboys or to a rabid hype with no justified cause. 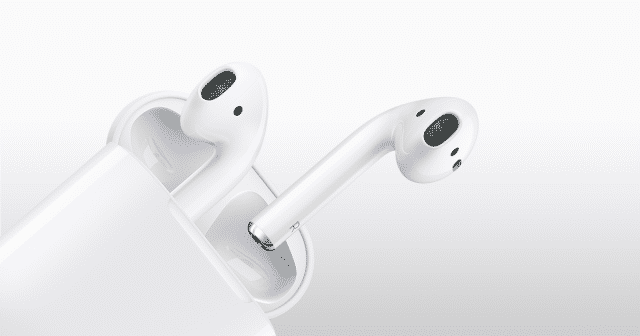 The AirPods seem quite popular, so I’m not the only one who’s noticing that they’re something different. But I think many of them might feel that they’re different but not be able to articulate it. So let me try. I think the reason they could be (they have to pull it off well for it to happen) game-changing is that you might be able to forget they’re there. The next interface to computers is voice. Manually-manipulated apps are about to become legacy, and the game will be all about voice, chat (with voice), and eventually AR/VR. But opening an app and poking at it to do things—yeah, that’s going to be considered the old way of doing things. But this only works if you have relatively little friction to speaking to your computer and being heard. You can’t have a voice interface that requires you to reach into your pocket, fumble for your phone, find it, lift it to your face, and start talking. That’s not a voice interface. That’s a manual interface where you talk as the last step. A voice interface is where you barely even notice how many times during the day that you ask for things or have your computer do things for you. Your assistant is speaking in your ear constantly. You hear subtle chimes when significant events happen. You know when you have to leave for your next appointment. You know when your Uber arrives. And all this needs to happen with you not doing much different than usual. It has to be natural. Smooth. Frictionless. That’s what the AirPods are promising. They’re promising that you won’t really know that they’re there, and you’ll always be ready to take a high quality voice call, or to make one. Or to hear the latest news. Or listen to a podcast or an audiobook. Or get streaming updates on something you’re following. And instead of reaching into your pocket to make these things happen, you’ll simply tap your ear (or use Hey Siri). This is effectively moving your mobile device from 5 seconds away to half a second away, and that’s like the difference between an hour and a minute. Or a foot and a mile. It means your computer—your entire computing ecosystem—will be omni-present instead of behind a wall of plastic. It’s there for you constantly instead of needing to be summoned and invoked by tactile acrobatics. If they pull this off, it could change how people interact with technology, and in doing so spawn an entirely new class of application. It’s that big. And that’s why. Mine are on order and due to arrive in the middle of January. That’s far too long, and I expect I’ll be stalking local stores until I can score some. The friction, delay, and touch interface on the earpieces is *so* critical to whether or not they can succeed in bringing this shift. If they have just the slightest amount too much friction. Or are too annoying. Or have too much delay in speaking or listening—they instantly become mostly regular headphones. Frictionless is a high standard based in human physiology and psychology.